Club Penguin Cheats by Mimo777 Club Penguin Cheats by Mimo777: May Pay Day Arrives... Finally! Dood! Check it out! 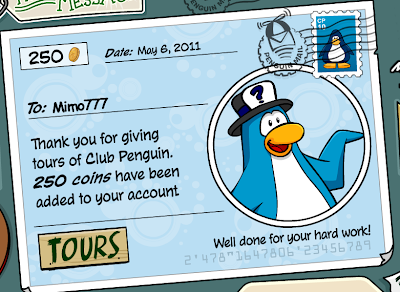 I finally received my Club Penguin paychecks! Hmm, I wonder why the delay this month? Why do you think Club Penguin would not seen all paychecks on the first of the month as usual? I just got mine Friday! 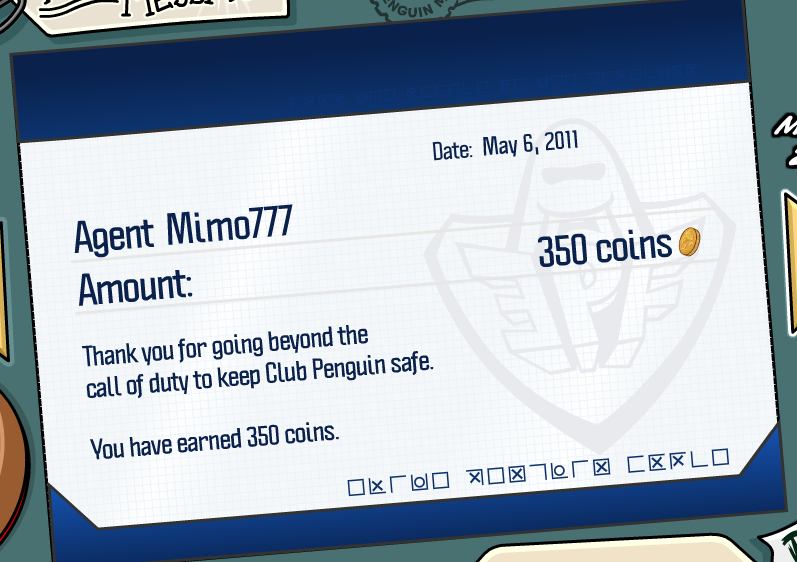 I haven't been on yet this morning so I don't know if my puffles are there today. They were there last night, though. I got mine yesterday too! !